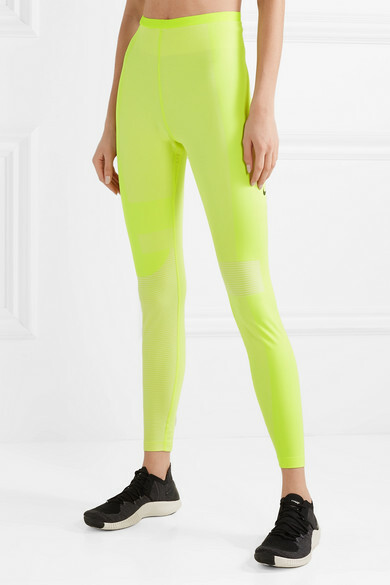 Nike's leggings are made from soft stretchy fabric in a cool neon-yellow hue. They're fitted with a high-rise elasticated waistband to support your core and stitched with ventilating mesh panels that wrap around each leg. 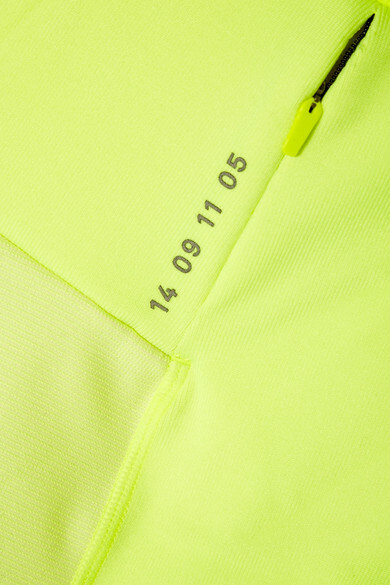 At the back, is a printed numeric code that translates to the brand's name and a handy zipped pocket to store your locker key. Shown here with: Nike Sports bra, Nike Hoodie, Nike Sneakers.